When we think of farming and agriculture, we tend to think of dirt, maybe some animals, and perhaps some large machinery. And when we think technology and agriculture, maybe our minds wander to a farmer using a mobile phone or some high tech tractor. Others might think biotech or biometrics for plant or animal breeding, or other farm-related necessities. ITC in agriculture has made many advancements – some for the better, others would argue for the worse. And it shows no sign of slowing down. For example, here is a fascinating 2014 story from Business Insider that goes into great depth about emerging technologies in agriculture. Another story in The Guardian points to how entrepreneurs are using their tech backgrounds to build unique agricultural operations and urban farms. Depending on the scope of the operation and the type of farming, technology is now an all or nothing proposition. Not all large-scale farming operations started as complete ITC masterpieces. Many technologies used in farming are adopted over time, on an as-needed basis. 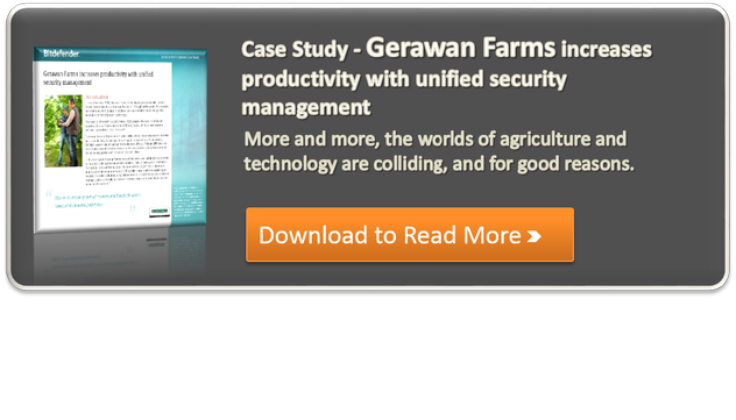 Large agricultural operations are becoming more sophisticated, and thereby reliant on technology, than ever before. As with any business, the farm or orchard’s intellectual capital and day-to-day operations need to remain reliable, consistent and secure. Beyond dealing with threats like climate change, the pressure to automate, and other factors, there is a lot of money at stake for large scale operations. Having unsecured data, or non-centralized security, will create costs and risks, as it does for any business. 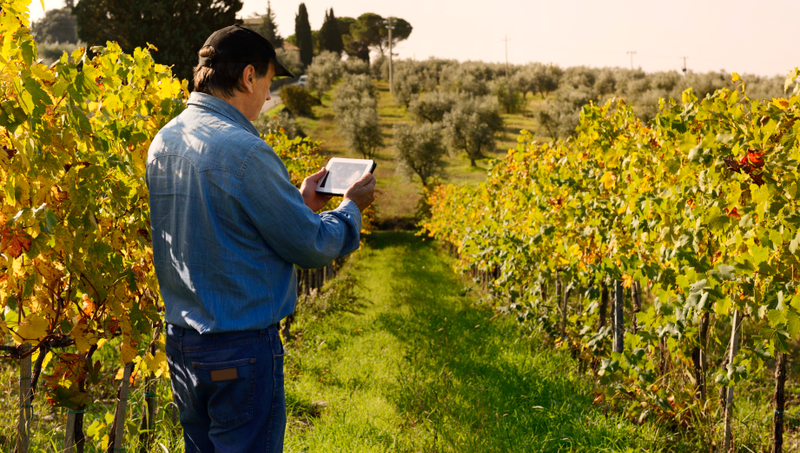 Some agriculture operations rely heavily on mobile devices and tablets in the field to collect data and reports. This data is key to making informed decisions about expected yields, resources needed, or unforeseen situations emerging, and securing this data is key to smooth operations and improvements in production. Gerawan Farms is one such organization. They are working toward ensuring the availability of consistent and reliable security protecting their data at all times. Gerawan is the largest grower and distributor of ‘stone fruits’ in the U.S. and across the world. At one time, Gerawan was protecting data on multiple devices and systems using many types of security. Then, the company made a decision to centralize and move to a cloud-based endpoint security solution. This gave the company a significant return on investment, the freedom to add more devices as required, and more time for the IT department to spend on other important technologies.